AROnline’s three-man team attended yesterday’s MPH with Top Gear Live Show at the NEC in Birmingham for the second act of MG Motor UK Limited’s launch event for the UK-specification MG6. The two versions of the MG6 Fastback on the company’s stand were accompanied by the MG ZERO Concept which, like the two MG6s, had been shown to the British public for the first time during last week’s MPH with Top Gear Live Show at Earls Court in London. Guy Jones, MG Motor UK’s enthusiastic Sales and Marketing Director, told the relatively small group of Journalists and Dealer Principals present for the unveiling that sales of the MG6 will start in Q1/2011 with deliveries commencing during Q2/2011. However, while recommended retail prices will be announced at a later date, as a guide MG Motor UK expects the MG6 to sell from around £16,000 to £20,000. MG Motor UK says that standard equipment on the MG6 S will include a perimetric alarm and immobiliser system, driver, passenger and side airbags, 17-inch alloy wheels, body-coloured door mirrors with in-built indicators, front and rear electric windows, three-point rear seat belts, a rear ISOFIX child seat anchorage, electronic-controlled air-conditioning and an ICE package which includes a radio with RDS, CD, MP3, USB and Aux-in capability. The SE trim level adds a satellite navigation system, a rear parking aid, a tyre pressure monitoring system, cruise control while the ICE package has a Bluetooth facility. The TSE trim level features 18-inch alloy wheels, a reverse parking aid with a rear view camera, leather sports seats (with electronic adjustment for the two front ones), automatic electronic dual-zone climate control and a satellite navigation system with a full colour display. 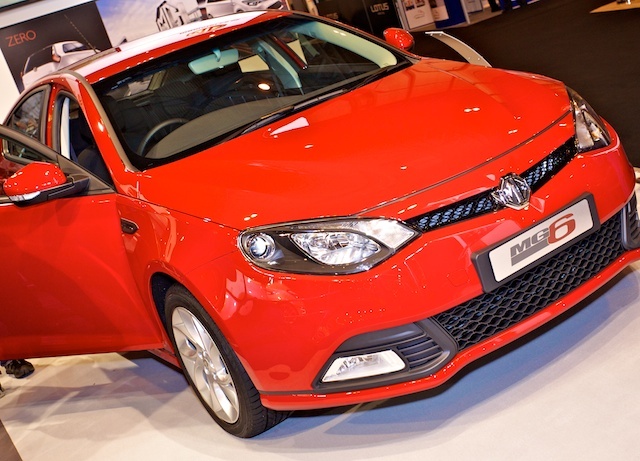 The MG6 will be available in a total of seven colours when launched in the showrooms: solid black, red and white along with metallic silver, grey, blue and burnt orange. AROnline took the opportunity to garner some initial feedback from several of the representatives of the MG Dealer Network who were present at yesterday’s event. Darren Chisnall from Roy Tolley MG in Colchester, Essex was clearly impressed with the fit, finish and specification of the MG6 TSE on display and said that he was looking forward to selling the car. MG Motor UK’s Managing Director, William Wang, was a Quality Manager at Shanghai Volkswagen Automotive Company Limited back in the day and the fact that VW Group Quality Standards are being used on the MG6 assembly line should bode well for the future – AROnline’s team were, like the Dealer representatives, pretty impressed with the overall fit and finish of the two MG6s on display. £16K? As Gawker’s Jalopnik and its ubiquitous polls would inevitably say: “Crack Pipe”. A 158bhp from a 1.8 Turbo? That’s not a lot when Fiat deliver 150bhp from the 1.4 T-Jet engine found in their Bravo. Even Alfa (another Fiat Group engine) get 232bhp from a 1.7 Turbo unit that works like the Fiat T-Jet engines – well, they are both FIRE engines. Looking at the MG6s in the pictures, with the specs, the prices are bit inflated seeing as the design, materials and engines are already behind the times. From £16K ? A joke, right? No matter how well-equipped, an unknown brand can never sell at a premium in its first year of launch. Unfortunately, the MG logo means nothing to most people nowadays. I think MG means a lot to a lot of people. The cars’ level of quality was much more akin to that of the Skoda Octavia or VW Golf than that of the Ford Focus or Kia Cee’d. I was extremely sceptical but am now definitely keeping an optimistically open mind. I was at the NEC Classic Motor/MPH Show yesterday and had a good look at the three cars on the MG stand. My first impression was, yes, very good – certainly the build quality is way in advance of what used to come out of Longbridge. The MG6 felt nice and solid and is more spacious than appears from the photographs. I thought the lower spec car was better internally than the leather-trimmed TSE version – to me leather trim should always be ribbed, not plain flat panels. However, there are several features which I would like to see changed namely the dreadful steering wheel for a more traditional one and the silver trim on the door pulls needs to be chrome to give a better feel inside. I’m a traditionalist and I don’t expect others will have the same view, but they look cheap to me. The ZERO is a wow of a car which I can see appealing to the young brigade. I was impressed by the ZERO and I can see the car selling like hot cakes if it gets into production! These cars have great potential but, for that to be realised, it needs good advertising and marketing – which the Chinese don’t appear to be very good at. It’s a shame that MG are putting a car out that, if rumours are correct, will just not be priced to sell. The engine is thirsty and quite dirty by today’s standards. It’s not going to be popular with the reps etc. which a car of this size is aimed at. I expect that the thinking behind the scenes is to test the market and see how things go. A softly, slowly approach… However, I think MG should have put a production version of the ZERO on the market at the same time as the MG6. MG can’t be taken seriously until they have some kind of range, including engines. They also need to get a new TF replacement to the market quickly. I really hope it all works out with MG. This is a start but, unfortunately, I feel it won’t be enough to get too many orders confirmed. I just hope the Chinese don’t take the sales figures too seriously and halt any of the plans they have in the pipeline for new metal in the UK. I assume they’ll treat this as just publicity for when, in a couple of years, they have a proper range of cars and engines available to bring to the UK. I came away from the MG6 distinctly unimpressed. The interior looks, smells and feels like an Astra. Externally, it’s instantly forgettable and lacks any sort of memorable styling cues. 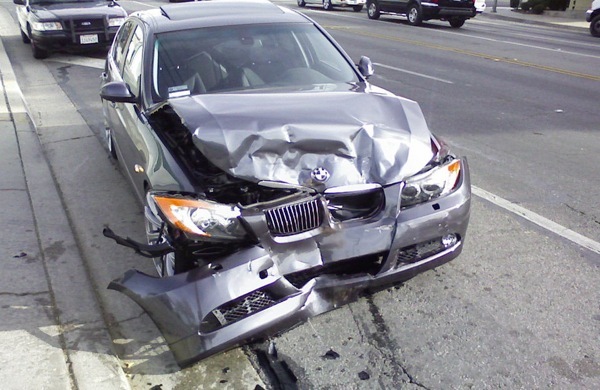 Personally, I see this car failing miserably. I hope it doesn’t but, frankly, it’s boring and over-priced. I saw the MG6 at the NEC myself. It’s a dreary looking car – even more so considering the company it was keeping at the MPH Show. The split stitching on both front seats doesn’t bode well. I can’t see it winning buyers from other brands. I still like the look of the MG6 but feel there will be heavy discounts to sell them in decent quantities and so prospective owners will face fast depreciation. The engine could be a bit more powerful (1.8T 158bhp) – Ford’s EcoBoost 1.6T is supposedly good for up to 177bhp. However, if the build quality is really good, it will be a more unique alternative to a typical Focus, Astra, Mondeo etc. Let’s look forward to the 2011 launch! OK Geoff, if the MG6’s better than what came out of Longbridge in the past, then why is it not already up and running and why haven’t the Chinese been building them for months? MG Motor UK have to be more forthcoming about to the new products in the range. The stories currently coming out of Longbridge are very negative and, when you speak to the employees there, they give you even less confidence. The whole of CAB1 has been ripped out and they intend to use the old 75 production line for the new model but why are the media not allowed to see the progress being made within? The specialised employees were so-called MG TF specialists and there’s no mention yet from any current employee about training to build this new model, so what’s going on? 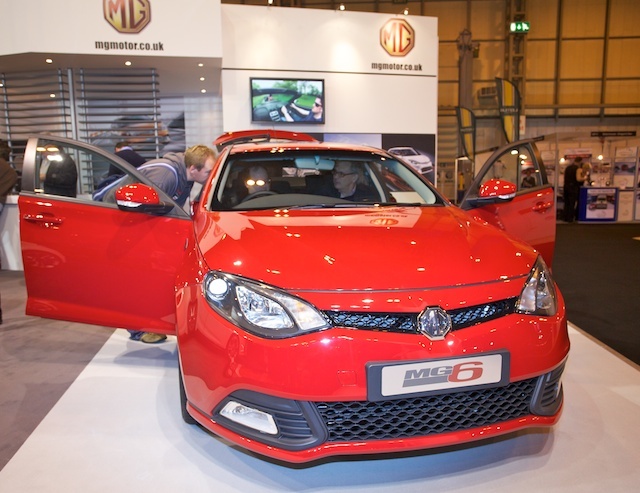 I think the MG6 will sell well… for about £8K at Motorpoint 6 months after they arrive and nobody buys them. I think the MG6 should sell fairly well. £16k is a list price and, if you look at the list prices of most manufacturers, they are all mostly a lot more than the actual transaction cost. Sure Vauxhall sell their cars at cost in the real world but even they have stopped doing that as much as they used to because they have to make money from them. I know some people are worried, but I’d rather MG made money in order to grow and invest than simply try to go for gold and sell out at any cost and go broke again. Besides, price yourself too low and that turns MG into a discount brand, which judging by the quality, if not the style, they certainly are not. There is no need to turn MG into a discount brand from the outset – that image takes years to shake off. Price a Skoda Octavia in anywhere near the spec of the MG and with a half-decent engine and you are well over £17k… My guess is that they need to leave room in the market for the MG5 (Roewe 350) which, judging by the look of that car, will also have a good chance of selling here. We should all remember that this price includes VAT at the new 20% rate so all the other manufacturers’ list prices still have to increase. Anyway, having seen a Chinese-spec MG6, I look forward to seeing these on the road. I still think the diesel should have been available at launch though. What I find most amazing is that the MG6 as been built in China for many months so why the delay over at Longbridge? Surely, if it’s to do with the quality, that must mean SAIC Motor’s quality standards are inadequate for the European market. We all want Longbridge and MG to succeed but, when a car is 75% built in China and then 25% built at Longbridge, it is surely legitimate to ask whether so much as been taken out of the marque that it can no longer be classed as a British-built MG. One of the main selling points of MG is that the cars will be built in the same place as their immediate predecessors were. LONG LIVE MG! Well, based on these comments, I think SAIC Motor should just ignore the UK market and sell the MG6 to the rest of the world. £16,000 is dirt cheap – in fact less than half what a ZT cost in Australia when there were such things and the build quality on the two ZTs I saw/test drove was the some of the worst car assembly I have seen in my entire life. The paint quality of the MY2004 one was certainly the worst bar none. Indeed, given that £16,000 at February, 2011 exchange rates to Australian dollars is the same as a lowly Hyundai i30, I think SAIC Motor should send the MG6 to Australia right now – at that price it’d easily be the best selling MG in the marque’s entire history on the Australian market.